In the last few years I've made quite a few Facebook friends who are from Mexico. I love the tradition of Dia de los Muertos that they observe. 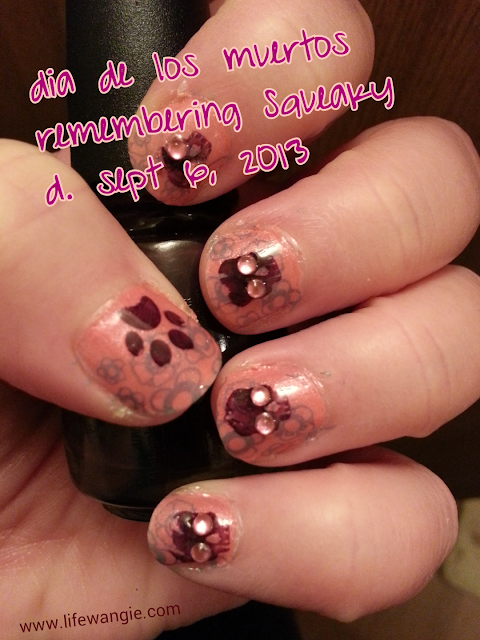 We lost our girl kitty, Squeaky, on Sept. 6, and I have been wanting to do a mani to remember her, so I decided to do one today.